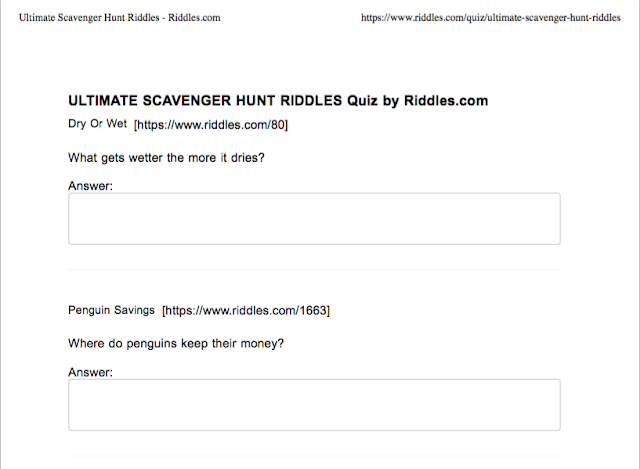 We've added a new feature to the Riddles.com website, users can now print riddle quizzes for free. 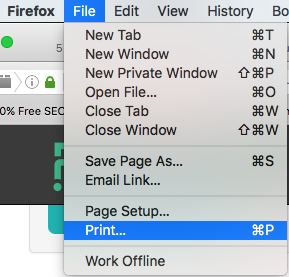 Please note: The riddle worksheet print feature works best when printed from a Firefox browser. It will print from Chrome, Safari and Internet Explorer but the page breaks are not in the correct place and the riddle answers will not print on a separate page. There are many ways to print a riddle quiz. First, you must navigate to the quiz you wish to print. 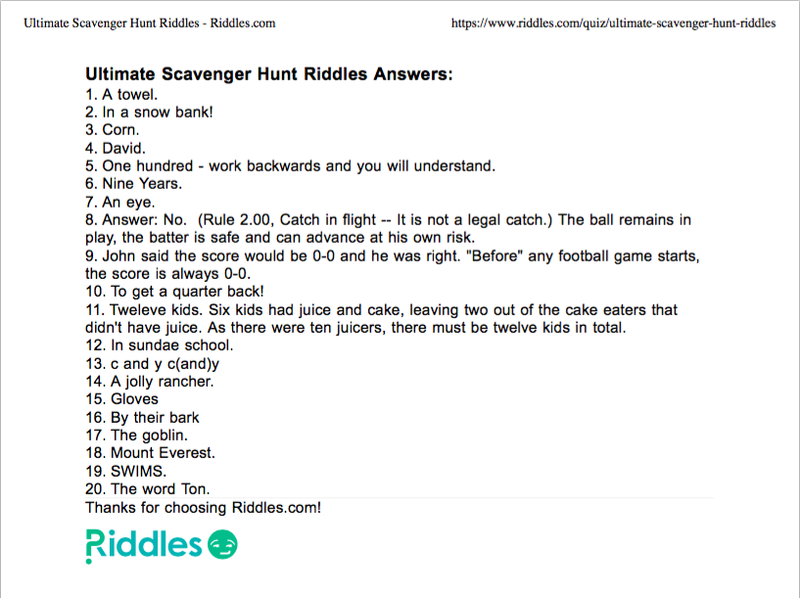 For this example have printed the Ultimate Scavenger Hunt Riddles riddle quiz. Once on the riddle quiz page you can print the worksheet by scrolling to the bottom of the quiz and clinking the print button, from the browser File menu or hit command p on a mac, control p on a PC. Print Quiz Worksheet from the Firefox Browser Menu File dropdown menu. Below is a sample of the printed riddle quiz worksheet. It includes the name of the riddle quiz, the riddle title, a link to where riddle is located, the riddle question and a riddle answer box. There are maximum of three riddles per page, depending on the length of riddles there could may be less. Below is a sample of the riddle quiz answer page. The riddle answer page is printed separately and includes the title of the riddle quiz and a numbered list of riddle answers. 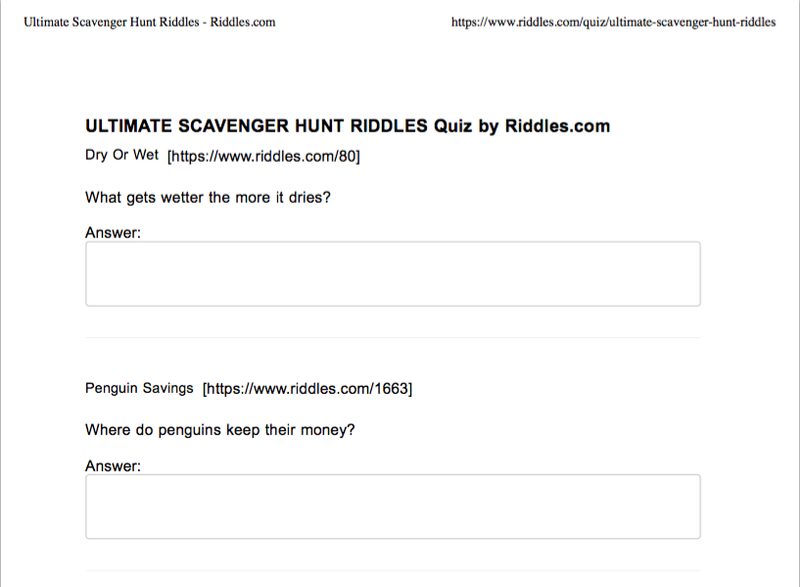 Riddle Quizzes: Riddle quiz index page. Just another fun way to enjoy riddles.